If you are experiencing a sewer backup problem or other Salt Lake City sewer line emergency, we're here to help you find a Salt Lake City sewer service. Homes that are connected to the town or city sewer system have certain responsibilities when it comes to sewer line repairs. Generally homeowners are responsible for the sewer pipes that run from the street to the home. Over time, sewer lines can get damaged, weakened, clogged or even collapsed due to shifting grounds, tree roots and other factors. A plumbing and sewer contractor will need to find the source of the problem, and will likely use a few different techniques including a sewer camera inspection. Some people will have a plumbing contractor perform a sewer camera inspection of the homes entire sewer lines prior to purchasing a home. Salt Lake City sewer problems can become very costly if not addressed right away. 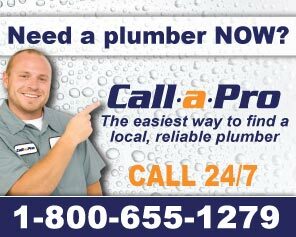 From backed up drains to clean up issues, why wait? Sewer maintenance or Salt Lake City sewer cleaning services can keep your homes sewer and drain lines flowing properly. Sewer services may also offer maintenance agreements that offer peace of mind knowing your plumbing is in good working order. After all, your home's plumbing is not only important to your home's value, but also to your family's health and safety.